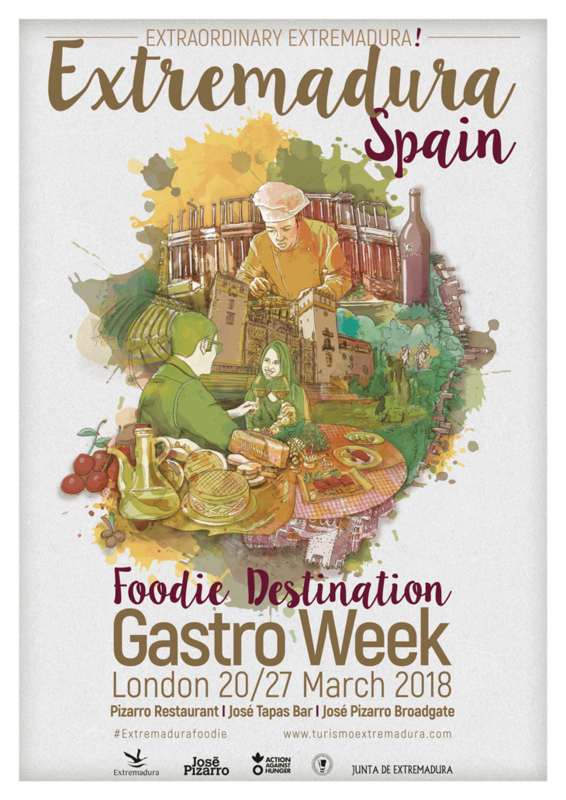 Last month, Londoners had the opportunity to sample a taste of Extremaduran flavours at its first ever gastronomic week (#Extremedurafoodie). The region – perfect for foodies who love culture and sunshine – joined forces with José Pizarro, a popular Spanish chef with three culinary establishments in London for the event. Chefs Gloria Plaza, Juan Burgos, Fatima Otero and Francisco Romero flew in from Spain to assist with the exciting preparation of the food for #Extremedurafoodie. Diners were given the chance to enter a competition to get the chance to win a trip to Extremadura. In addition to this, for every meal ordered, José deemed £1 be donated to Action Against Hunger https://www.actionagainsthunger.org.uk/. Growing up in the small village of Talaván in the region of Extremadura, José Pizarro wanted to avert the life of a laborious farmer and turned to study as a dental technician. He was randomly offered some work in a kitchen, which catapulted him onto the road of becoming a chef, then in 1998, a meet up with an English friend piqued his curiosity of London, pushing him to later move to the city. Arriving without even knowing how to say “hello”, he started working at Gaudi, a restaurant in Clerkenwell serving modern Spanish food. After working at Eyre Brothers, and then Brindisa – one of London’s biggest importers of Spanish ingredients, José knew with conviction it was time to start his own thing. In June 2011, he opened “José” – a tapas and sherry bar in the upcoming area of Bermondsey. It proved to be a hit, and he opened “Pizarro” on the same street – serving traditional flavours with a streak of creativity. In 2015, he opened is third establishment – “José Pizarro” in the City where he takes great joy in showcasing the best of both Spanish and local British produce. The world-renowned cured meat has won the hearts of many, but the masses are usually unaware of its unique production. The black Iberian pigs thrive on special kinds of acorns that grow only on the agroforesty land type called Dehesa – prominent on the lands of Extremadura. This distinct cheese boasts richness and saltiness with a tinge of bitterness. When fully ripe, it has a gooey consistency in the centre, and is customarily eaten by cutting the top off and enjoying the soft goodness in the middle. One of José Pizarro’s favourite spices, pimentón is made up of a combination of several kinds of dried and ground paprika. This specific kind – “de la Vera” – is smoked and made only in La Vera valley in Extremadura. It can be seen as the backbone of Spanish cuisine, as it’s used in chorizo, meats, eggs and more. Meaning “breadcrumbs” when directly translated, this dish dates back to ancient times. A traditionally pastoral treat, this plate is now widely enjoyed in Iberian cuisine. If being enjoyed Extremaduran style, day-old bread is soaked in an enticing combination of water, garlic, paprika and olive oil. On top of this, chorizo and bell peppers as well as other local ingredients are added. A “cocido” is a type of stew popular in many parts of Spain. The Extremaduran version has chickpeas as the main ingredient. They are usually accompanied by various meats like chicken, chorizo, bacon and/or Iberian pig blood sausage. Extremadura’s appealing cuisine is just one facet that makes the region so intriguing. Book your next holiday to the breath-taking Trujillo. We would love to host you. We also offer guests a gastronomic tour introducing the Extremeño cuisine. Gourmands visit shops and restaurants to learn about local specialties, including Torta del Casar, Jamon Iberico de Bellota and locally made olive oil. We also offer in-house service where guests can enjoy a home cooked menu at villa enjoyed with local manzanilla sherry and wine. Learn more here. Jan 20 Read our full digital cut-out here. Jul 25 Read our full digital cut-out here. COPYRIGHT © 2018 Trujillo Villas España. All Rights Reserved. Step back in time to a dream destination.  Trujillo Villas España offers luxurious villa rentals, surrounded by a perfect escape in authentic Spain. We look forward to welcoming you to the magical town of Trujillo, your home away from home.